A recent University of Kansas School of Law graduate has been named a finalist in one of the nation’s most competitive fellowship programs. Josh DeMoss, L’17, earned the designation of 2018 Presidential Management Fellow Finalist after an intensive application and interview process. More than 6,000 people applied for the fellowship, and less than 10 percent made the final cut. DeMoss accepted an appointment with the International Trade Administration at the Department of Commerce. Josh DeMoss with Ukrainian colleagues at the 25th anniversary celebration of US-Ukraine relations. DeMoss is certainly laying the foundation for the career of his dreams. 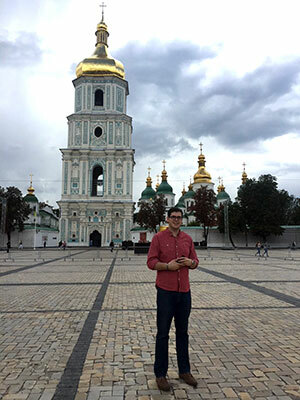 He earned a law degree and a master’s in Russian and East European studies through KU’s joint-degree program after studying the Russian language and interning in Moscow as an undergraduate at Baylor University. He switched his focus to Ukraine during his first year at KU, when that country’s revolution signaled future interest in development. En route to earning a Certificate in International Trade and Finance at KU Law, DeMoss spent a semester studying, researching and living in Ukraine. He sharpened his Ukrainian language skills and learned “surzhik,” a mixture of Russian and Ukrainian that allowed him to maneuver seamlessly in social, academic and professional settings. 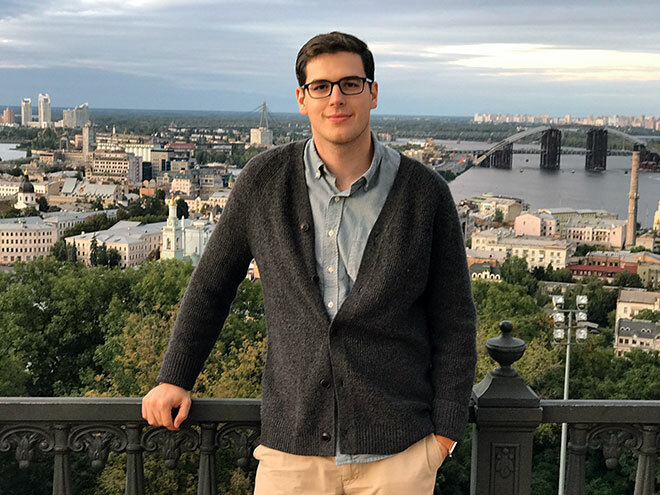 The summer after his second year of law school, DeMoss interned in the Office of East Europe and Central Asia at the joint United Nations/World Trade Organization’s International Trade Center in Geneva, helping Ukrainian exporters enter the EU market. DeMoss spent his final semester of law school in KU Law’s Sixth Semester in D.C. Program. He met alumni who had similar professional interests — even one who had worked on legal development issues in Eurasia. After graduation, DeMoss worked on a State Department program with American Councils. 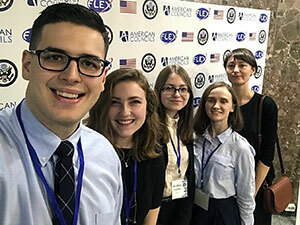 Through the FLEX (Future Leaders Exchange) Program, he led teams in Kazakhstan and Ukraine in testing, evaluating and interviewing students for possible study in the United States. “I took the contract job while waiting for the PMF results and to get more international experience and practice my Russian and Ukrainian,” DeMoss said. The PMF program was created by executive order in 1977 to develop potential government leaders. It provides extensive on-the-job leadership and management training to advanced degree candidates through two-year, paid positions at federal agencies. Thank you for a great article. In order to build a truly productive relationship with a mentor and you should remain in close contact with that person throughout your career.